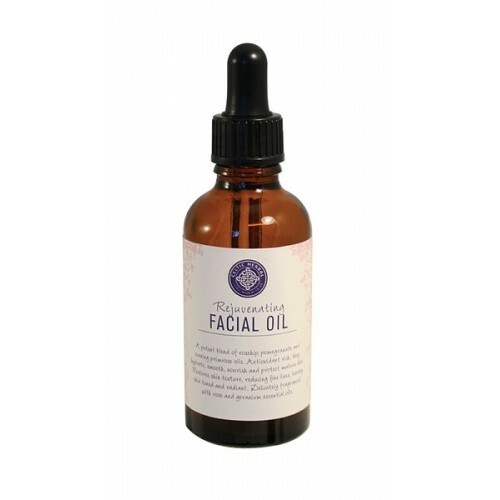 This rejuvenating facial oil is a potent blend of rosehip, pomegranate and evening primrose oils. 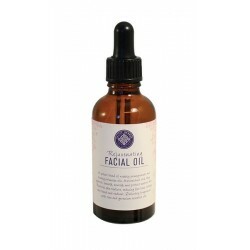 Antioxidant rich, these oils hydrate, smooth, nourish and protect mature skin. Helps to restore skin texture by reducing fine lines and leaving skin toned and radiant. Delicately fragranced with rose and geranium essential oils. Easily absorbed into the skin. 100% natural. Caprylic/Capric triglyceride, Apricot (Prunus armeniaca) kernel oil, Evening primrose (Oenothera biennis) oil, Rosehip (Rosa canina) seed oil, Wheatgerm (Triticum vulgare) oil, Advocado (Persea gratissima) oil, Pomegranate (Punica granatum) oil, Vitamin E (Tocopherol), Rose (aniba rosaeodora) wood oil, Grapefruit (Citrus grandis) peel oil, Grape (Vitis vinifera) seed oil, Geranium (Pelargonium graveolens) flower oil, Lavender (Lavandula angustifolia) oil, Rose (Rosa damascena) flower oil. Allergens - Benzyl benzoate, Citral, Citronellol, Geraniol, Limonene, Linalool. Overlooking the peaceful Cardigan Bay and overlooked by the majestic Snowdonia mountain range, Celtic Herbal are constantly inspired to keep their natural herbal soaps, facials, balms and oils as pure as possible, to make sure that only the best make it into your hands. Celtic Herbal grew out of a knowledge and love of organic herb growing, and so the creation of handmade soaps and herbal skincare seemed a natural way to continue that interest.